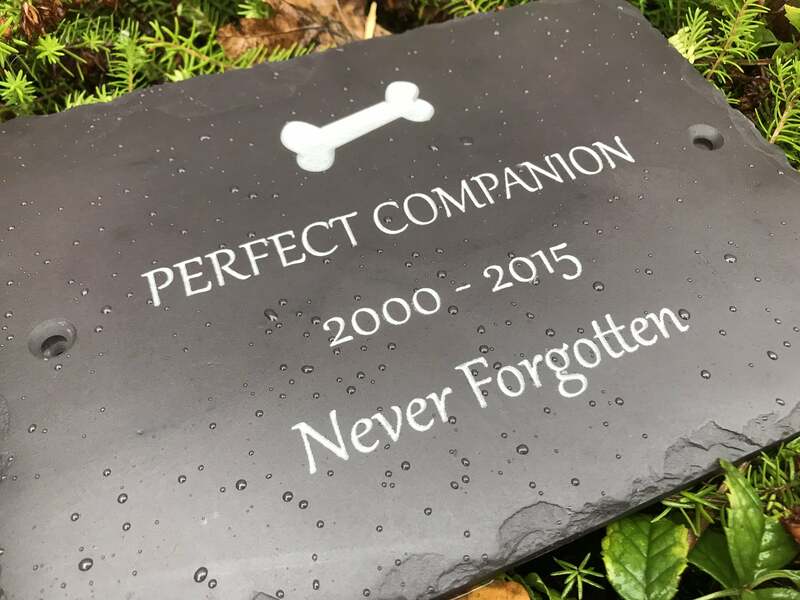 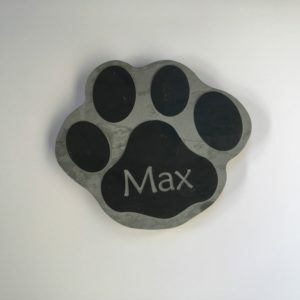 It’s a sad day when one of your pets passes away , our slate plaques are a fine way to remember their passing. 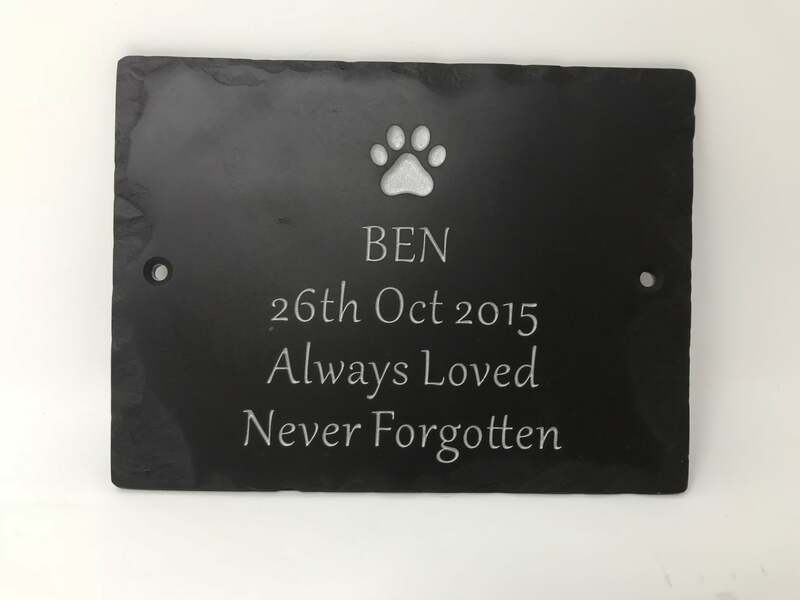 Handcrafted using one of the finest slates in the world your loved one will never be forgotten. 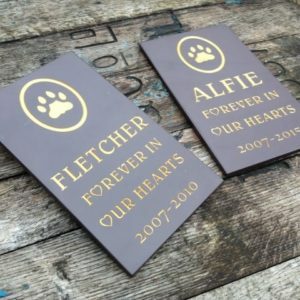 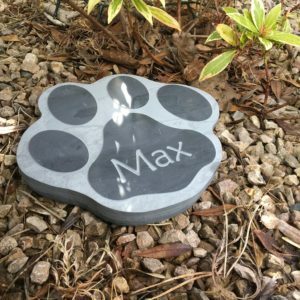 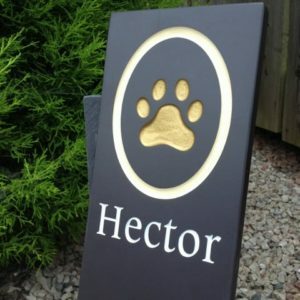 We can engrave your pets name , dates and also we can engrave a bone as pictured or a paw or even a horse shoes. 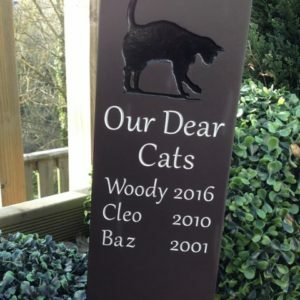 Simple to order please message us with your requirements , text and colour of paint and we will do the rest. 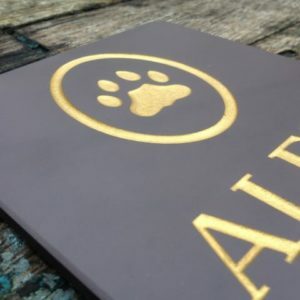 The slate has a heather/plum colour but please remember you are ordering a natural product therefore there can be differences from slate to slate even consisting natural mineral such as green dots. 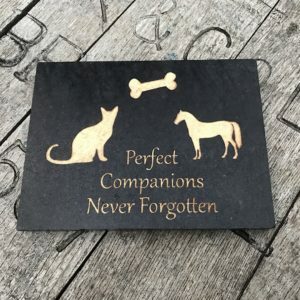 These are not faults are are as nature intended.